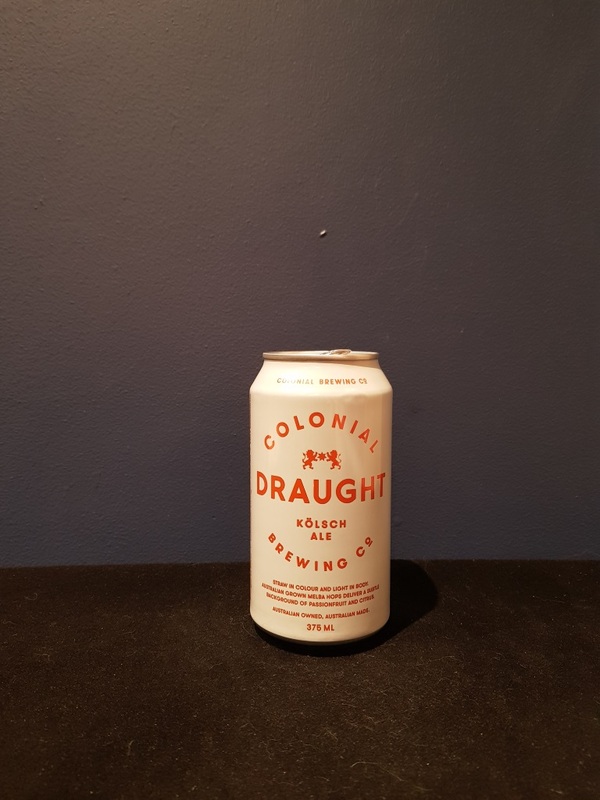 Beer #2792 is a kolsch brewed by Colonial Brewing in Melbourne, Victoria, Australia. I’ve never really been a fan of lagers or understood them as they are generally pretty watery and mostly tasteless. People say they are refreshing but so is water when cold. This is a bit better than the mass produced commercial lagers out there but that’s not really saying much is it? This one is a little grainy, with a touch of citrus and a minor bitterness. The bottle size is 375ML with an alcohol content of 4.80% (containing approximately 1.40 AU / 1.80 UK standard drinks), and it costs $3.00.